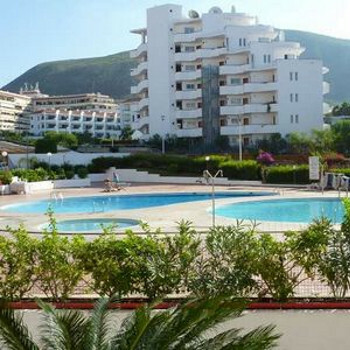 Welcome to the San Marino Apartments web site, the apartment complexes are situated on the flat area of Los Cristianos in Tenerife and not on the hilly area, important if you have difficulty with walking or have young children. Stayed here lots of times, great location and facilities, easy reach of Los Crisitanos centre. Brilliant local bars at back of complex. Clean affordable, and easy transport to Tenerife South airport. Easy walk to to town and affordable Taxi's back up if needed. Large spacious apartments, fully refurbished & very well equipped with washing machine, microwaves, english TV etc. Most apartments have pool view. Very large pool area, with 2 large pools, so not crowded at all. Centrally located close to all facilities, including bus service, bars, restaurants. Would definately recommend a visit for couples and families alike. Very friendly staff in Reception.